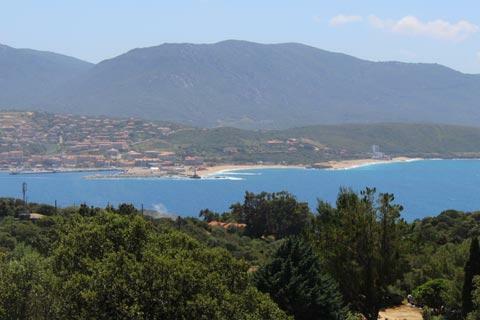 Propriano is a small town with a pleasure port on the coast of south-west Corsica, between Ajaccio and Bonifacio. 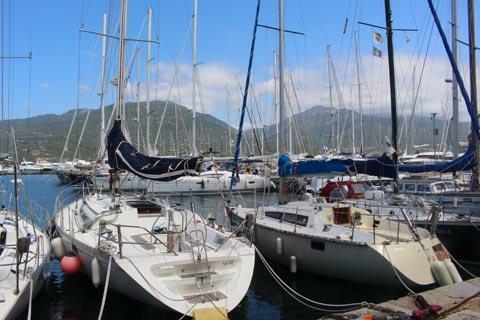 It is sheltered within the Golfe de Valinco, and best known for the beaches nearby. 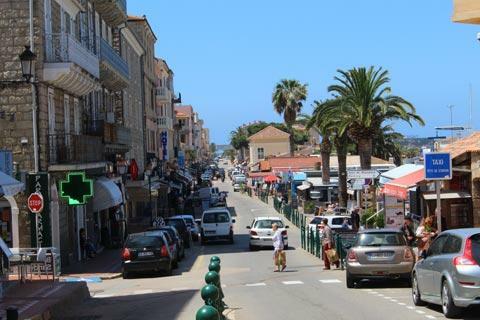 The town is quite easy to reach from the airports at Ajaccio to the north and Bonifacio (Figari airport) to the south. 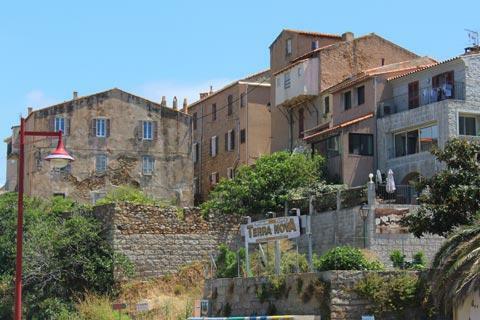 Although a small village existed here several hundred years ago, most of the town we see today is less than 150 years old, having been developed after a road was opened between Ajaccio and Bonifacio in the late 19th century and a port was developed. 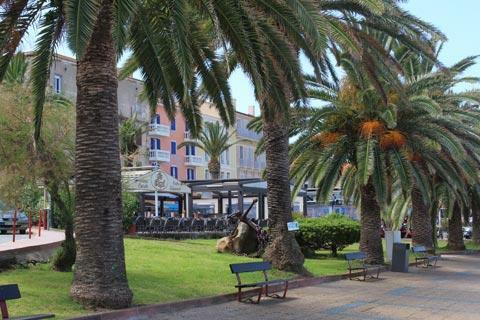 The town is easy to explore, with a coastal section including the harbour in the town centre and the main beach in the town, the Lido, just a short distance north. The main street in Propriano, lined with shops and restaurants and the centre of activity for tourists, is between the two. Start your visit with a stroll around the harbour. 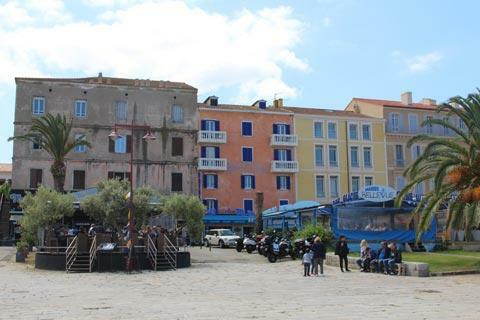 This is the most picturesque part of Propriano, with colourful tall houses overlooking the pleasure boats. 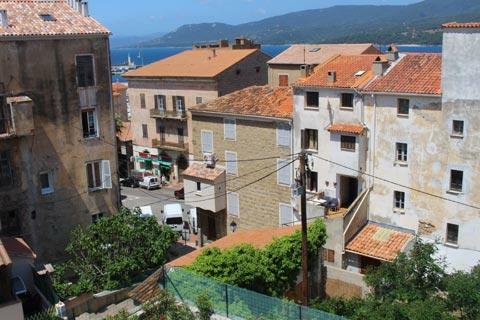 Note however that it is not always clear from photos, but the area of 'colourful houses' next to the harbour in Propriano is small, so the harbour lacks the scale and charm of others in Corsica such as those at Ajaccio, Bastia or Saint-Florent, for example. Just behind the harbour there is a flight of steps that leads to the main church in Propriano, the Church of Notre Dame de la Misericorde. In front of the church is a viewpoint across the rooves of the town. 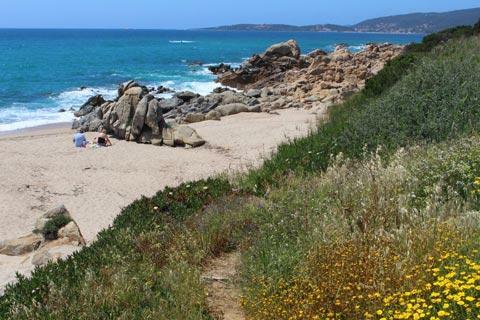 Campomoro: to the south-west of Propriano and reached along a scenic route that has a lovely view along the coast, the long sandy beach and harbour are in the centre of the resort of Belvédère-Campomoro. If you enjoy a long walk in the sun you can also reach the Cala d'Agulia beach from Campomoro: it will take you about three hours each way so bring plenty of water but you will be rewarded with one of the loveliest beaches in Corsica, a narrow inlet leading to a small very sheltered beach. Cala d'Agulia can also be reached by boat so you will often see several small pleasure craft here. Porto-Pollo: to the north-west of Propriano and also reached along a coast road, the resort is within the Serra Di Ferro commune. Porto-Pollo was once a small fishing village overlooked by Genoese towers but is now a popular resort because of its harbour and long sandy beach. 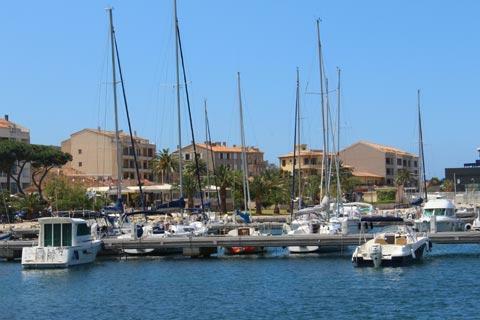 Note: be careful if you are booking a hotel here - there is also a town called Porto-Pollo in Sardinia so make sure you choose the one in Corsica! If you want to spend some time away from the beaches there are several places of interest nearby. One of the easiest to reach is the village of Olmeto in the forested hills above the gulf. Not far from Olmeto you should definitely find time to visit the prehistoric site at Filitosa, where some prehistoric engraved menhirs can be seen in an attractive countryside setting. 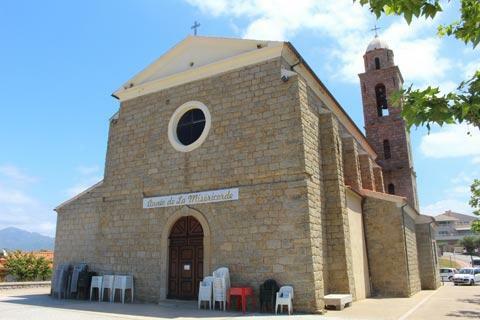 To the south-east of Propriano you will also enjoy a visit to the historic centre of Sartene with its lively atmosphere and narrow medieval streets.